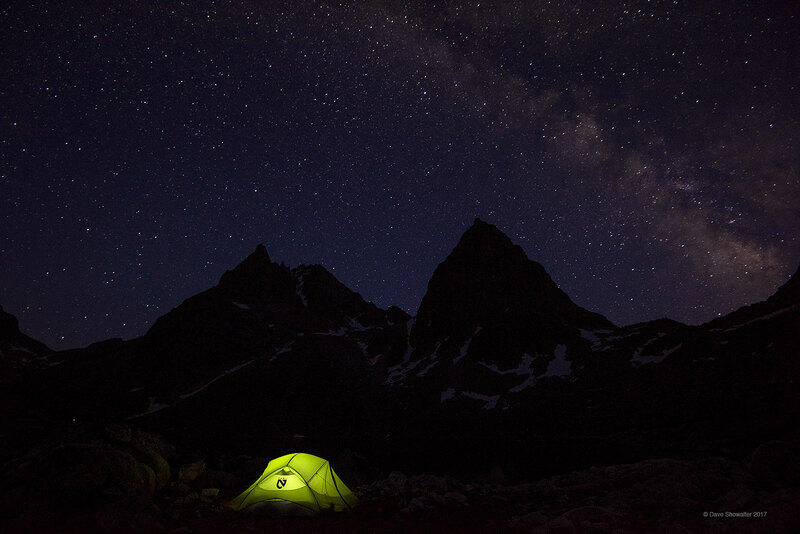 As darkness descends the milky way appears over Stroud and Sulphur Peaks from our tent site on Peak Lake, high in the Wind River Range. This extraordinary backcountry location marks the headwaters of the Green River, the main stem of the Colorado. From here, the Green River will wind 700 miles to its confluence with the Colorado in Canyonlands National Park, UT. Night skies like this are increasingly rare - revel in the darkness. . Photo © copyright by Dave Showalter.